A reader of this website sent me an email the other day. His parent’s owned a property in East Flatbush, Brooklyn on Ralph and Snyder and rented the downstairs to the Steiner family who had a teenager named Charles. The Steiner’s rented from 1958-1959 and young Charles apparently enjoyed doodling and this drawing was found in this reader’s parents’ possessions and he gave permission for me to put it up on the website. The doodle is interesting because it makes references to gangs of the time as well as other cultural references. Valiant Lords – I don’t know this gang. There was a gang in the Bronx called the Valiant Crowns who fought the Royal Knights, but I’m not sure about the Valiant Lords. The Jesters Meet the Paragons – The Jesters was a well-known doo-wop group in the 1950s that had a few hits. They were students from Cooper Junior High School in Harlem who began their career crooning under an elevated train station in Harlem and made their mark in an amateur contest at the Apollo Theatre. 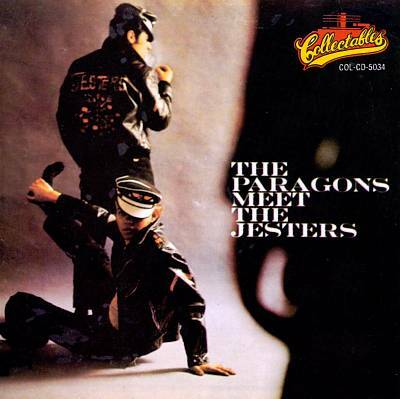 Below is the gang-related cover of their “Paragons Meet the Jesters” album. 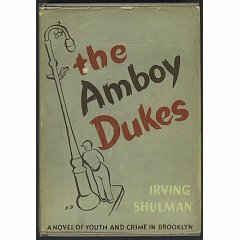 Amboy Dukes – In 1947, Irving Shulman wrote a wildly successful book called The Amboy Dukes a novel set in the late 1940s in Brownsville, Brooklyn that highlighted juvenile delinquency and a Jewish gang called the Amboy Dukes. 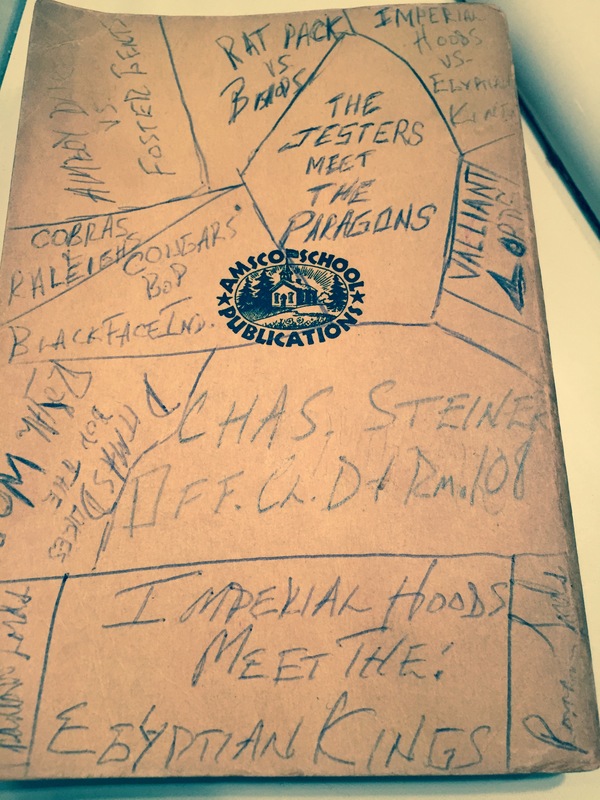 It isn’t clear if the Amboy Dukes were a real gang, but the book sold 5 million copies and made an indelible mark on NYC culture at the time, perhaps a reason why it found it’s way on Charles Steiner’s doodle. Foster Gents – a gang from Flatbush (which makes sense because of the proximity to East Flatbush where the Steiner’s lived called the Foster Gents who were near a notorious gang called the Ditmas Dukes). Ditmas Dukes Bop the Royal Wops – The Ditmas Dukes weren’t far from East Flatbush and probably a gang Charles Steiner at least heard of. Click here to read more about the Ditmas Dukes and Foster Gents from another page on this website. I haven’t heard of the Royal Wops. Cobras & Cougars – two gangs I am not familiar with, although in Harrison Salisbury’s excellent book The Shook-up Generation written in 1958, he devotes quite a bit of ink to a gang called the Cobras.